Doggy Bags is a tactile learning game! A card is flipped revealing the food that Franky wants. 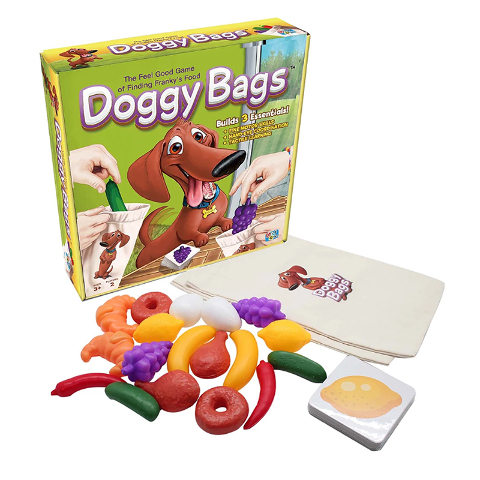 Will you be first to feel inside your Doggy Bag (without looking) and pull out the right food?! ?Feed Franky 5 food items first and win! For 2 players, ages 3 and up. Includes 18 plastic food items, nine food cards, one Franky card, two doggy bags, and rules on the box back.